Over the last several years, the rise of “designer drugs” or “synthetic drugs” have taken the nation by storm. Parents are concerned their teens are able to purchase legal substances over the internet. Corner stores and bodegas are raided for selling the synthetic marijuana drug K2, also known as Spice. On May 26, 2012 the synthetic drugs known as Bath Salts made the nation cringe, as it was suspected the drug was the reason for the Miami attack of a homeless man who had most of his face bitten off. From Ecstasy to Crystal Meth to Bath Salts, designer drugs are more popular than ever and due to the underground nature of how these drugs are manufactured and sold, designer drugs are also more dangerous than ever. The new designer drug Flakka, the most recent of the trendy synthetic drugs, maybe the most dangerous of them all. Flakka is a designer drug made from the compound alpha-PVP, a synthetic version of the stimulant cathinone. Cathinone naturally occurs in the khat plant and is indigenous to Somalia and the Middle East. 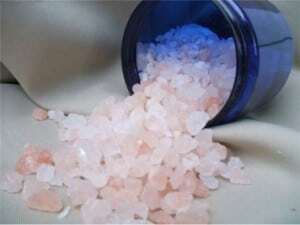 The physical structure of Flakka looks like little crystal pebbles that can be smoked, snorted, swallowed or injected. It can be cut with many other drugs, one of the dangers being that Flakka may be cut with opiates or other “downers”. Because Flakka naturally is an “upper” (a stimulant), mixing it or cutting it with a “downer” (a depressant) can be dangerous for the heart and central nervous system. Additionally, the most dangerous part about Flakka is the effect it has on the users. Flakka causes “excited delirium”, which is the release of a massive amount of dopamine into the users brain, while simultaneously blocking reuptake, the process when neurotransmitters go back into the neuron and the individual brain regulates back to normal. Basically, Flakka floods the brain with dopamine without allowing the brain and body to regulate itself back to normal and causing hallucinations and other psychotic breaks. This state of “excited delirium” can cause a massive rise in body temperature (up to 105 degrees), kidney failure, high levels of anxiety, paranoia and delusion. Around the country, police officers going out on Flakka-related calls are often told to wait for backup, as it can often take multiple officers to physically restrain someone dealing with Flakka addiction. Users also often are known to take off all their clothes, cause personal bodily damage and report hearing voices. In a short time, the drug has resulted in the deaths of an absurd amount of drug abusers due to violence, suicide or being killed when attacking police. The dangers of synthetic drugs and designer drugs on addicts or those suffering from substance abuse is that often the users do not know exactly what is in the drugs or the effects the drugs will have once ingested. Often users looking for a “good time” or a way to “party” end up causing horrific bodily harm and psychological harm to themselves or others. The use of Flakka can often lead to death.